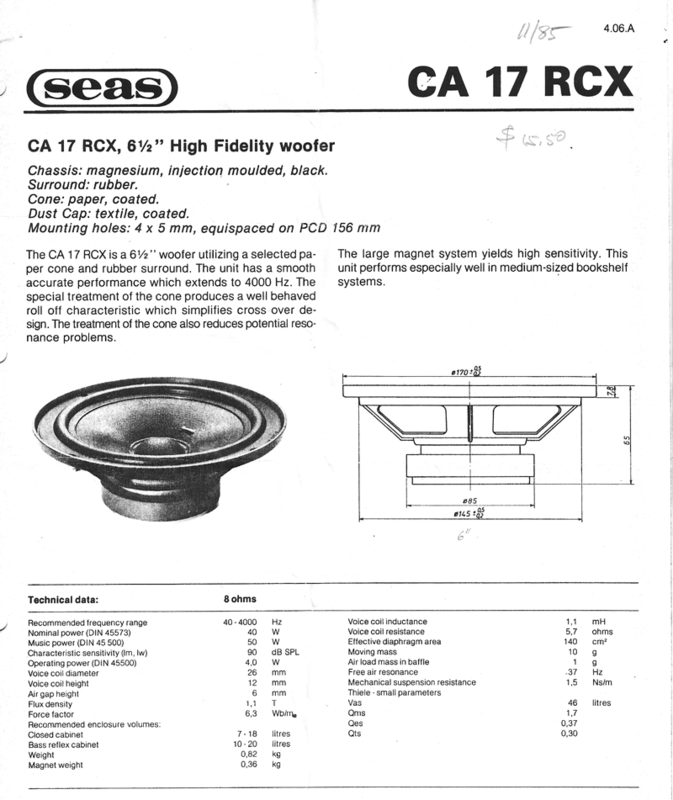 This PA loudspeaker was my first dipole design. I had to provide intelligible sound to a large audience in an indoor basketball court for a satellite down-link. It was for a six nation Beyond War world peace event with video presentations, speeches and folkloric music. The single speaker column stood 2' from the edge and to the right of the large video projection screen on a makeshift stage. To the right of the column was a podium with microphone for local speeches. I wanted both screen and microphone to be located in the dipole null for reduced acoustic feedback and minimal acoustic interference with the screen. It all worked to great satisfaction. I had built the column in two sections so I could fit it into my car. For use the sections are stacked, clamped together and screwed to a base plate. So when I later set up the two sections as stereo speakers in my living room, I was surprised by their sound. 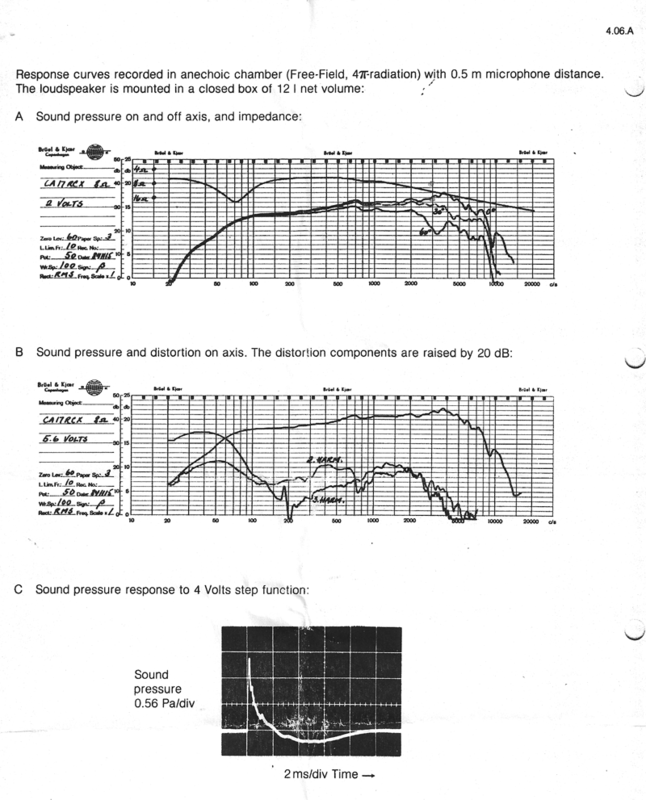 Something in it reminded me of the Quad ESL 63 and I wondered what might I might hear if I had a properly designed dipole using conventional piston drivers. The rest is history, as they say. 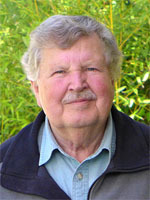 The Line source was occasionally used later in Stanford University Chapel to enhance the clarity of voice and guitar in a highly reverberant environment. 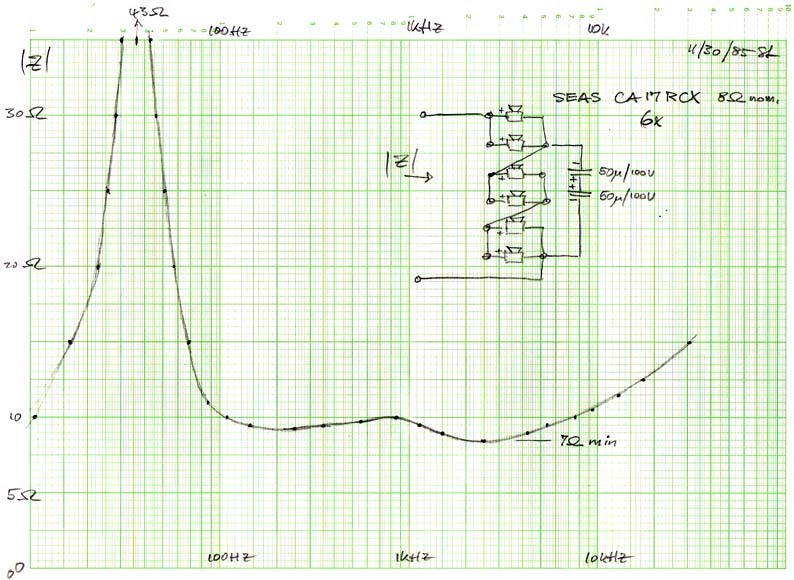 The terminal impedance and the driver wiring diagram are shown below. The four innermost drivers of the column cover the full frequency range. 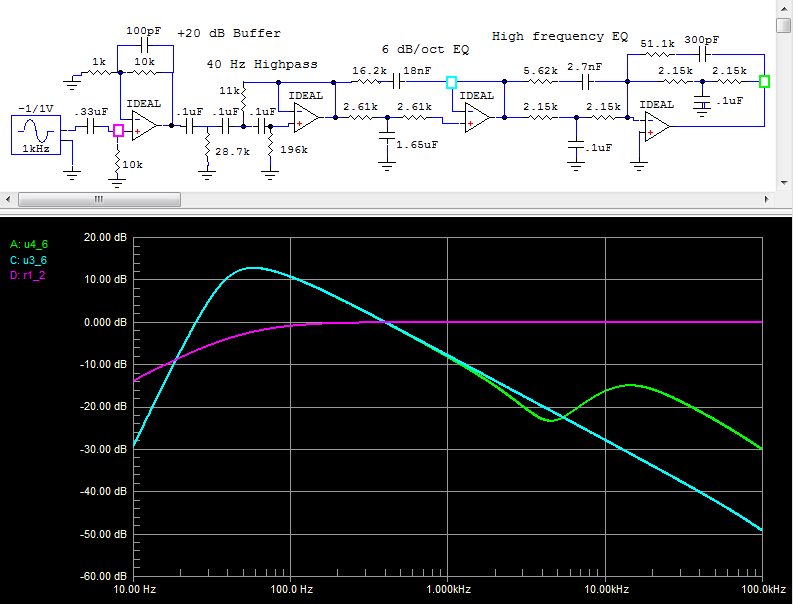 The top and bottom four drivers are rolled off at higher frequencies by a 25 uF non-polar capacitor. 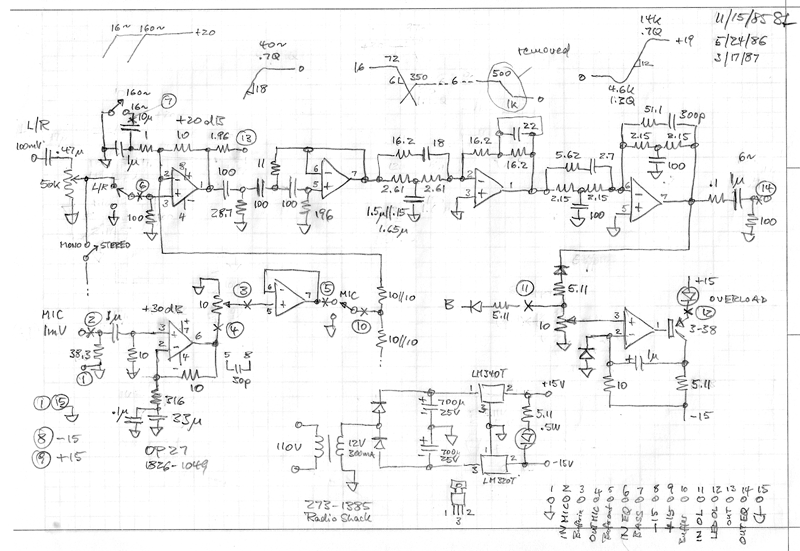 I seem to remember that I used a 250 W/ch stereo amplifier to power the two column sections. They can handle more power though. The column needs a significant amount of equalization. The circuit diagram below provides the essential response. 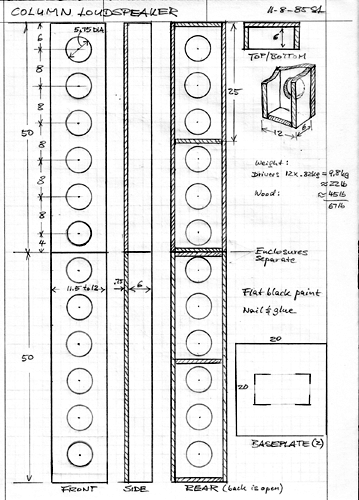 Original circuit diagram. It includes additional stuff, which was needed for the satellite down-link program. If you can no longer find the original drivers, then use something equivalent. 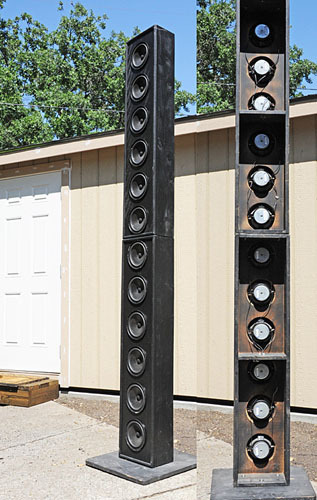 Have fun building these PA speakers. You may want to add subwoofers, like Thor, if your application is for dynamic music material. Surprise yourself and your audience!